Lazari is a lively neighbourhood café and bistro located right in the heart of the vibrant Cape Town city. They say breakfast is the most important meal of the day, but at Lazari, owner Chris Lazari full-heartedly believes it. 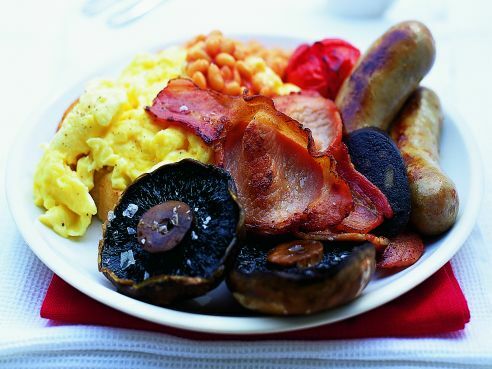 You are therefore guaranteed one sensational all-day breakfast feast that will have you grinning from ear-to-ear. 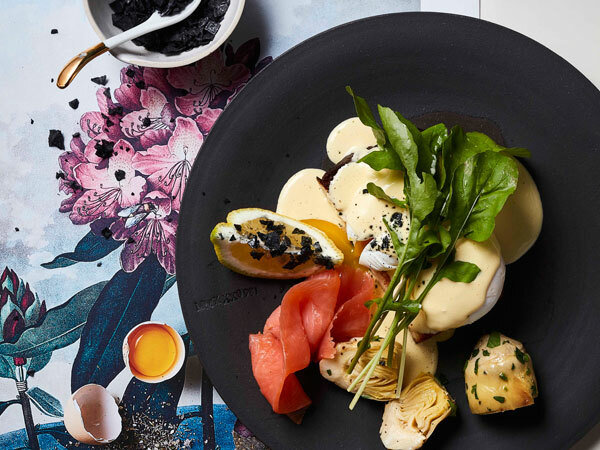 Lazari is certainly at the very top of the Cape Town breakfast game and was even awarded the Best Breakfast Spot in Cape Town by newspaper, The Next 48hOURS, in 2014. And not much has changed since then. Celebrating fresh local ingredients, delicious home baked treats, daily lunch specials, all-day-breakfast and a wonderful selection of coffee, wine and beer, Lazari is most certainly worth a visit. In the heart of the CBD you will find this whimsical oasis that offers the most delightful and indulgent escape from the hustle and bustle of the city. At Hemelhuijs food is celebrated and the ingredients are the true heroes and you are invited to enjoy every delicious bite! Custom blended coffees, freshly made jewel coloured juices, home-made delights and a highly creative seasonal menu bursting with an abundance of decadent options featuring bold exotic choices as well as childhood fan-favourite. As the name suggests, Hemelhuijs is pure Cape Town food heaven! This is a Bree Street corner bakery hotspot that is known to draw hipsters, on-the-go hustlers and lovers of all things artisanal and delightful. Prepare yourself for buttery croissants, artisanal breads, droolicious and delicious breakfast options and so much more. 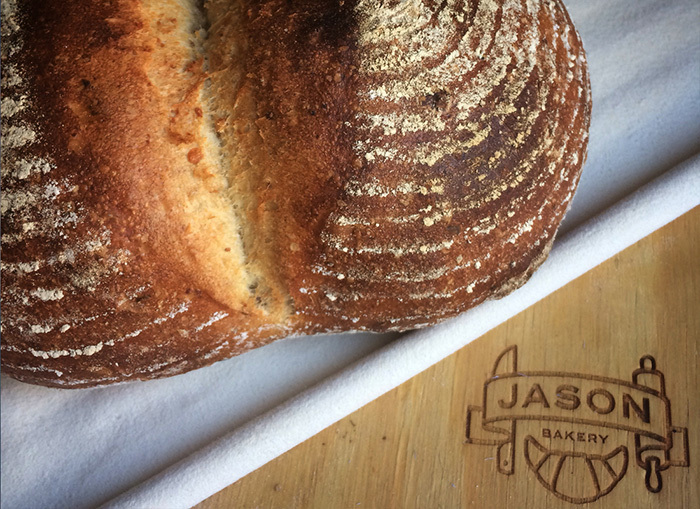 At Jason’s Bakery they keep it real, fresh, interesting and locally sourced and they bake today, for today, and thereby donate any leftovers to a local charity. It’s this and so much more that has earned this incredible artisan Bree Street bakery a top spot as one of the best spots for breakfast and lunch in Cape Town. 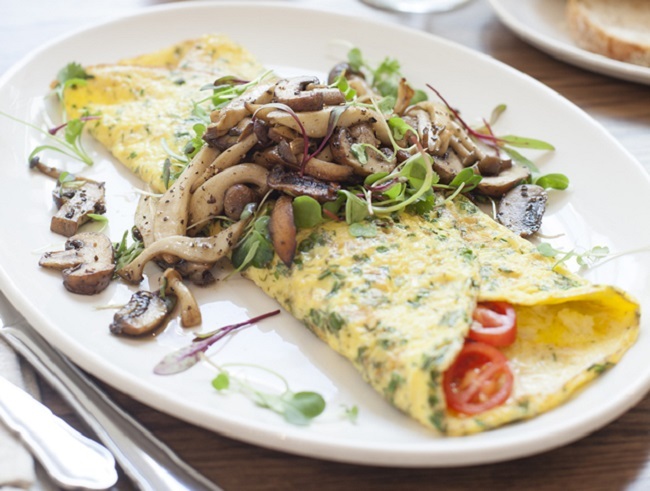 At the foot of Table Mountain you will find the iconic Belmond Mount Nelson, home to the Oasis Bistro boasting a range of delectable breakfast treats. It is the perfect morning spot for long, lazy breakfasts on a sun-splashed terrace or a breezy, African-inspired interior. It offers both a sensational buffet and A La Carte menu bursting with delicious home-made treats, a scrumptious array of morning bites, bold breakfast surprises and traditional fan-favourites. Besides all the delicious food, the Belmond Mount Nelson also features the most incredible view! The renowned Chardonnay Deli, a farmstall, bakery and delightful deli in the beautiful Constantia valley is one delicious Cape Town breakfast spot you don’t want to miss out on. 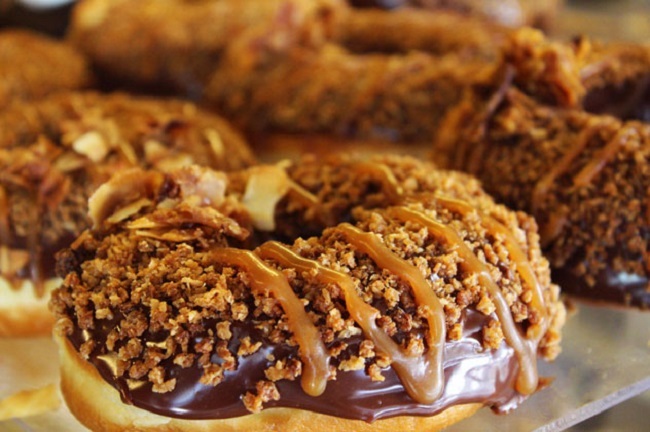 This is healthy homemade heaven at its very best! From delicious farm style breakfasts and lunches to a large selection of homemade rustic cakes, veggies and fresh fruit for sale, Chardonnay Deli has anything your culinary heart desires. And not to mention the spectacular surrounding Constantia valley scenery, truly something to admire! 92 Bree Street is home to one of the best spots for lunch and dinner in Cape Town. Be prepared to see different delicious dishes every day, as yes, you guessed it, the menu changes every day, how incredible is that? The Chef’s Warehouse and Canteen boasts a relaxed canteen style atmosphere and encourages you to come as early as possible as they don’t take any bookings. 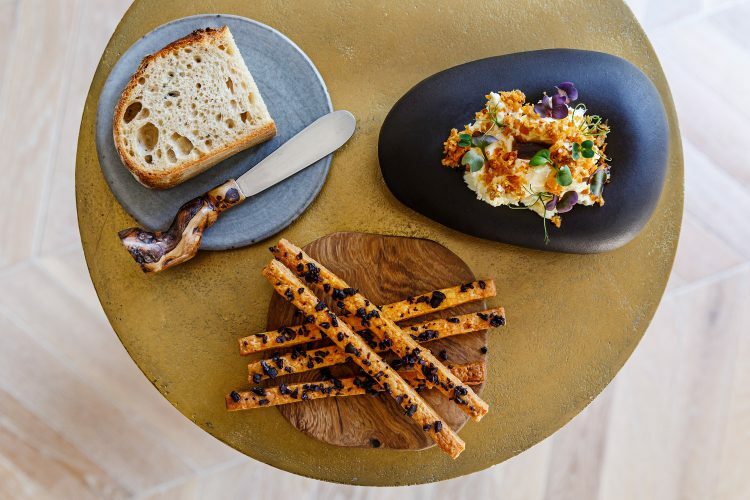 But when seven of the country’s top chefs rate a restaurant among the best in Cape Town, you pretty much know it’s the real deal and definitely worth a visit! 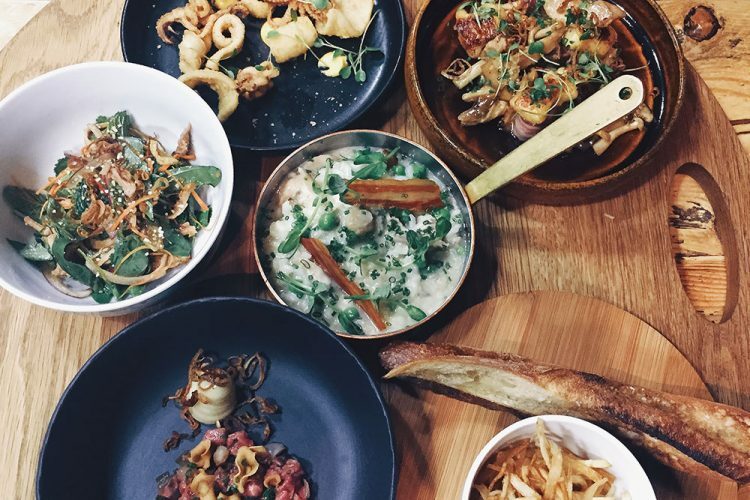 Liam Tomlin’s Chefs Warehouse & Canteen on Bree Street now also has three sister restaurants, namely Thali, Chefs Warehouse at Maison (in Franschhoek), and Chefs Warehouse Beau Constantia, all rated among the very best restaurants in Cape Town. The electable array of imaginative global tapas is said to be quite a flavour journey, and definitely worth a try on your visit there. A vibrant 7-day-a-week food market in lively Sea Point that is certainly worth a lunch-time stop! The MOJO Market boasts over 30 food stalls featuring everything from trendy Thai food, wood fire pizza’s, tasty tacos, sensational sushi, freshly steamed dim sum, grilled cheese sandwiches and out-of-this-world chicken wings, and these are just a few! Yes, the MOJO Market is one lunch time Cape Town food celebration you don’t want to miss! 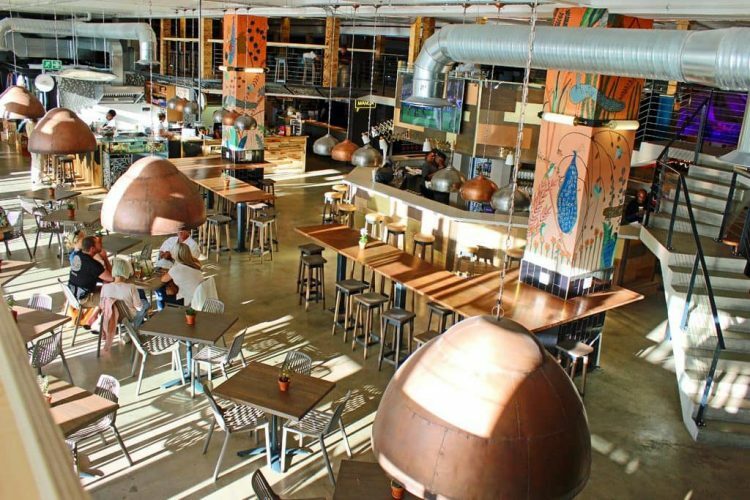 Besides all of the incredible food, the MOJO Market also has a range of bars, live music, exciting retail and shopping opportunities and Tap’d, which offers South Africa’s largest selection of beers on tap. With 100 taps to choose from including ciders and gins, enthusiasts will be spoiled for choice! Besides being a great spot for lunch in Cape Town, MOJO’s is also great for a fun day out with friends and family. Where: Sea Point, Cape Town. 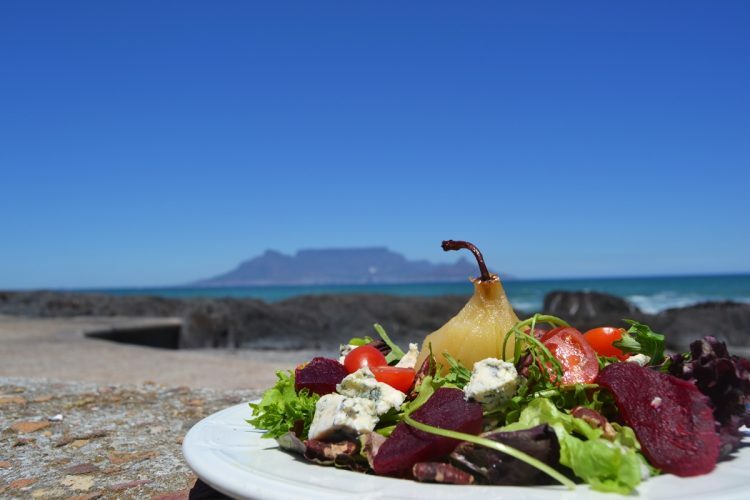 Without a doubt boasting one of the best views of Table Mountain, Café Blouberg is a beautifully authentic beach-front eatery that places an emphasis on easy café style food. From baked delicacies, mouth-watering cuisine, freshly tossed salads, zingy and delicious sandwiches and mouth-watering pastries that will have your mouth watering in a matter of seconds, Café Blouberg knows how to do lunch the right way. And looking out at the Atlantic, Table Mountain, Blouberg rock pools and Robben Island makes the whole experience just that much sweeter! With branches in Kalk Bay, Constantia Nek & the V&A Waterfront, Harbour house is known for its simple, yet incredibly delicious approach to seafood. And let’s be honest, there’s nothing better than sensational seafood when in Cape Town. 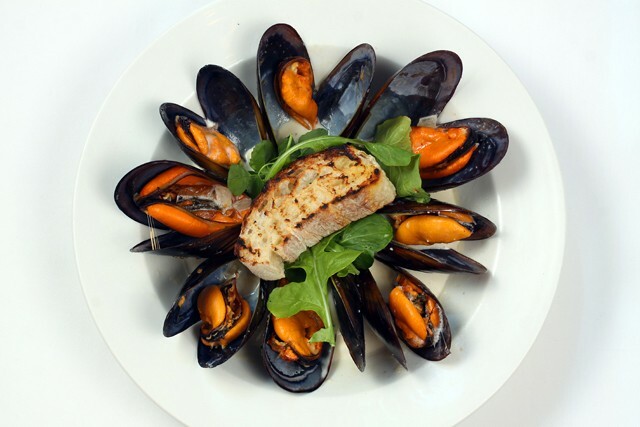 Imagine the freshest seafood, delicately prepared to maintain its integrity, each bite flavoured and seasoned to the highest of standards, served in a chic, yet unique space, with the most magnificent backdrop, and this is exactly what you’ll get. With views to match their flavours, you’ll certainly be in Mother City food heaven at Harbour House. This is without a doubt one of the best lunch and dinner spots in Cape Town. There is no lunch quite like a local Cape Town fish and chips lunch. And the Salty Sea dog in Simonstown is most certainly a local fan-favourite! 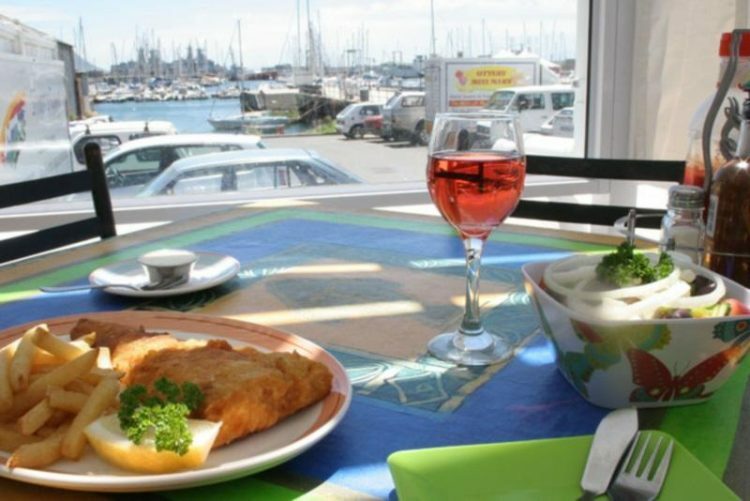 Located in the Simonstown harbour, this Cape Town gem is famous for its fish and chips among locals and tourists alike, and after just one bite you’ll know exactly why. The laid-back and welcoming setting, unpretentious atmosphere, ocean view and delicious food make The Salty Sea Dog the perfect spot for a quick ocean-front Cape Town lunch. This contemporary Bistro situated on the beautiful Steenberg Wine Estate is the ideal spot for lunch and wine tasting on a stunning sunny Cape Town day. Considered the tapas and bistro-style darling of the dining world, Bistro Sixteen82 is the ultimate innovative and interactive wine and food destination that is known to feature inventive dishes that complement the finest locally sourced ingredients. The incredible food and sensational scenery is definitely guaranteed to have you going back for more again and again. The Test Kitchen is without a doubt one of the best spots for dinner in Cape Town, and definitely the most thrilling too! Foodies, taste enthusiasts and lovers of sensational food, you are in for the mother of all treats! Found in the trendy streets of Woodstock, the Old Biscuit Mill to be exact, The Test Kitchen is bold, contemporary and experimental. The world renowned Chef Luke Dale Roberts promises to take you on an inventive and truly life changing culinary journey you’ll never forget! You’ll start your adventure in the Dark Room, boasting an array of inventive globally inspired tapas, only to finish it in the Light Room where beautifully plated mains are served. Ranked 22nd in The World’s Best Restaurant Awards in 2016, as well as Best Restaurant in Africa at The World’s Best Restaurant Awards, The Test Kitchen definitely won’t disappoint! Real food, unpretentious cooking, big flavours, best ingredients, all combined into something REALLY worth eating. 96 Winery Road Restaurant is a warm, relaxing venue set in the heart of the glorious Helderberg countryside. They aim to provide each guest with a truly authentic food experience. Nothing fancy, nothing extravagant, nothing careless or slapdash, just simple and delicious food in its purest form cooked with care and generosity. You can expect a fresh seasonal menu inspired by South African favourites and flavours from around the world. With the perfect mix of classic and contemporary The Granary Café at the iconic architectural wonder, the Silo Hotel is certainly one of the very best spots for dinner in Cape Town. The Granary features a short but incredibly diverse menu which includes both classics with a contemporary spin as well as some of executive chef Veronica Canha-Hibbert’s own bold and delicious creations. The Cauliflower & Chestnut Gnocchi, Springbok Shank, Tuna Tartare, Cape Seafood Curry, and a 300g Beef Ribeye are all said to be worth EVERY bite! 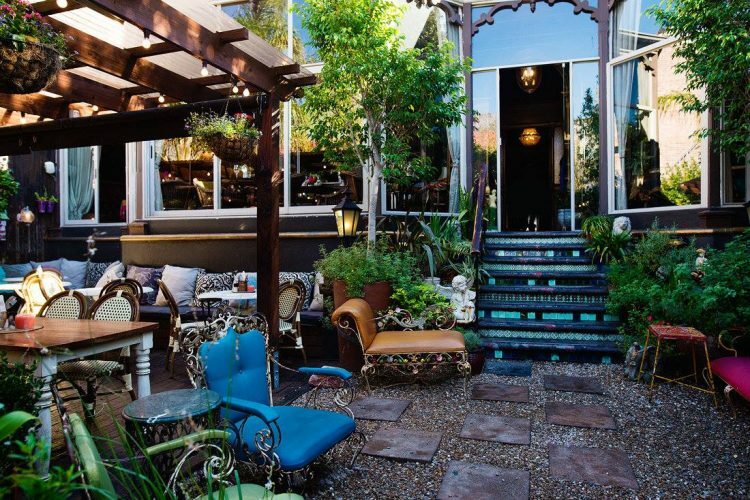 Dubbed the coolest place to be in Cape Town, the Pot Luck Club is definitely where it’s at! This relaxed yet edgy environment is known to draw quite the crowd with its inventive, innovative and bold approach to flavours. At the Pot Luck Club, sharing is caring; the incredible menu is therefore made up of a collection of tapas sized plates. The “Sharing plates” are divided into 5 basic tastes; salty, sour, sweet, umami and bitter to allow guests to try each sensation on its own as well as all the flavours as a whole experience. This is one Cape Town food adventure you absolutely want to be a part of! Where: Old Biscuit Mill, Woodstock. La Colombe has consistently received world-wide acclaim and is positioned amongst the top restaurants in the world and is therefore without a doubt one of the top spots for enjoying a sensational dinner in Cape Town. Located at the stunning Silvermist Wine Estate in Constantia, La Colombe is one of South Africa’s most iconic and internationally acclaimed fine dining establishments. You can expect a fusion of Asian and French cuisine, boasting uncomplicated clean flavours, created from only the freshest seasonal produce perfectly presented. Chef Proprietor Scot Kirton’s is also known for his classic signature dishes and his endless array of sublime new inspirations form the mainstay of La Colombe’s Tasting Menu. Set in a magnificent Victorian house, Kloof Street House is an experience as enigmatic as it is intimate. 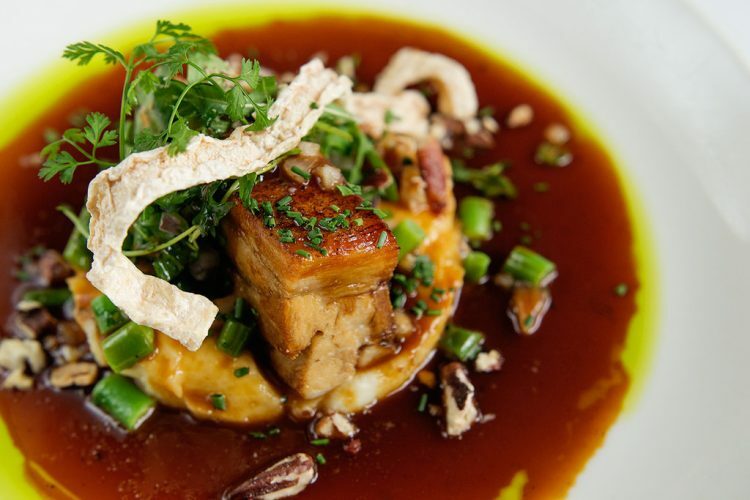 This unique Kloof Street gem features a brasserie-style menu that is all about celebrating ingredients and where they come from, and all of the meat is therefore free-range, grass-fed and responsibly sourced. The Kloof Street house is all about creating a homey environment that brings people together over delicious feasts and great conversation. Their sensational sharing dishes are also said to be quite a flavoursome treat! Besides the delicious food, Kloof Street House is way more than just a restaurant, with a collection of interesting rooms and spaces, each bursting with a character of its own, it puts firth the idea that is whatever you want it to be. 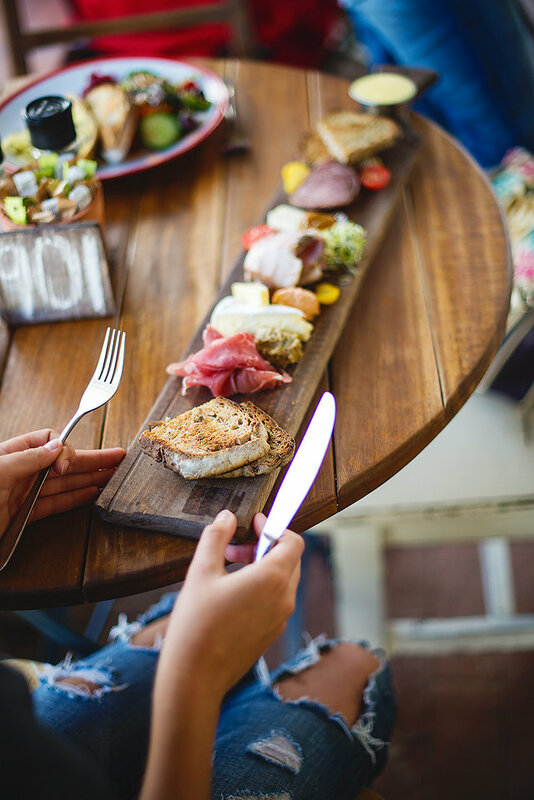 Besides all the incredible restaurants, sensational cooking secrets and culinary Mother City magic, eating at some of the best spots for breakfast, lunch and dinner in Cape Town promises to be as delicious as it is exciting. 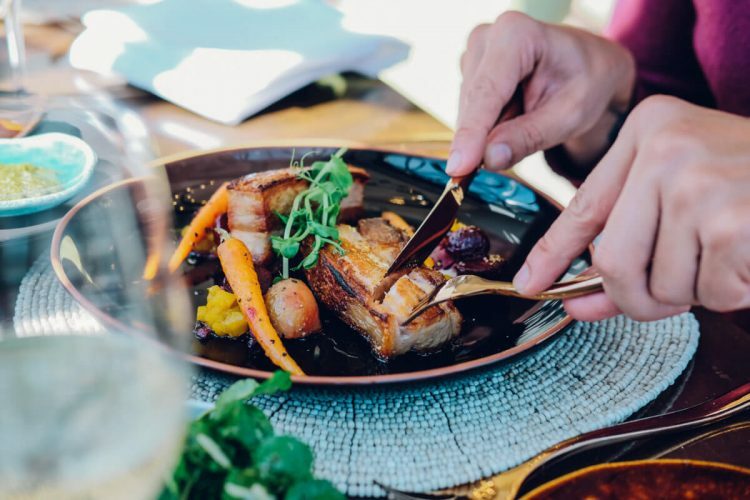 And with new hotspots, hidden gems and culinary masterpieces being created every other day, Cape Town will continue to surprise you with bold flavours, inventive approaches and DELICIOUS food! 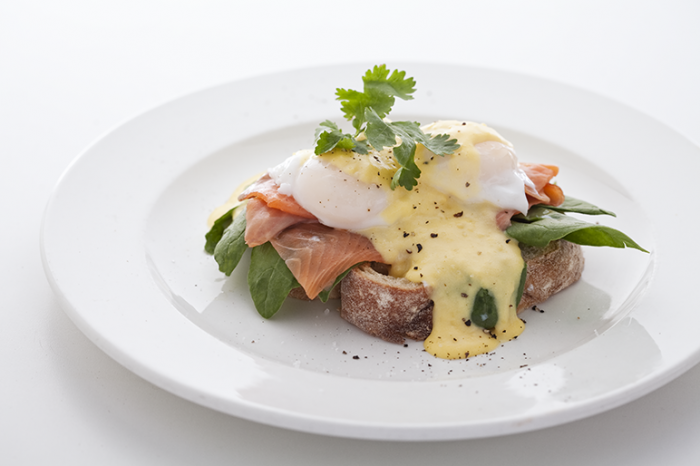 Looking for more help finding the best restaurants in Cape Town for breakfast, lunch or dinner? 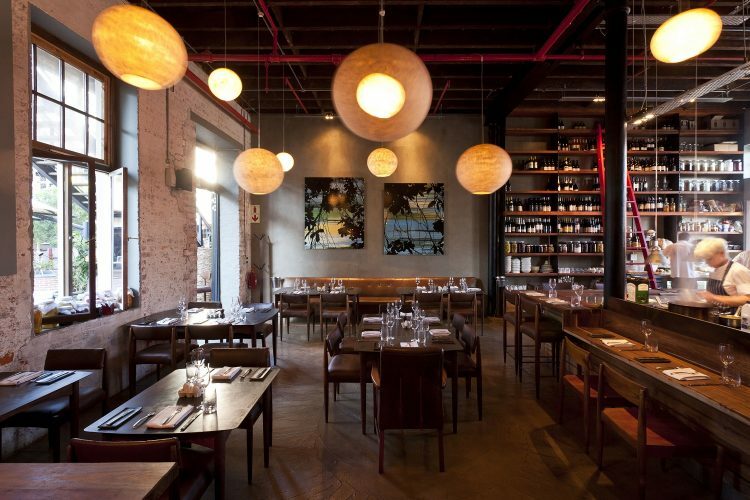 Check out our list of the best restaurants in Cape Town. You can also contact us if you would like to learn more about accommodation on offer in the city. 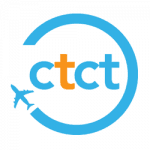 We will help you plan your stay, booking the best restaurants in Cape Town, along with tours, car hire and everything else you could ever need. 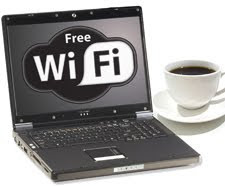 Best Free WiFi Spots in Cape Town?